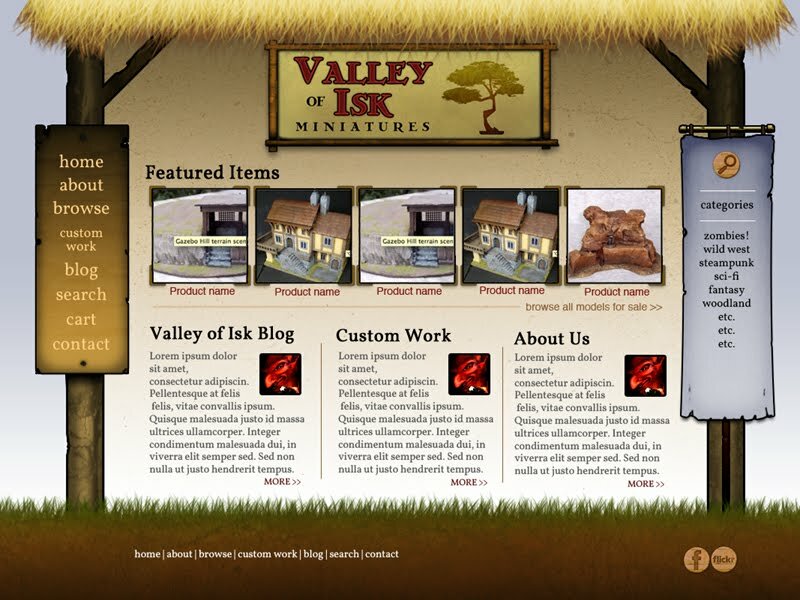 Valley of Isk: Sneak Peek at the New Website!! Sneak Peek at the New Website!! 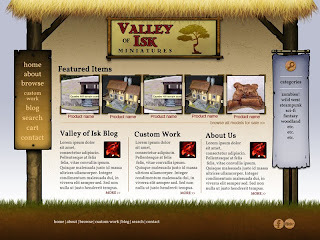 My web designer has been working hard to get my new site up and running, which will feature a web store!!! No more backbreaking ebay fees!!! Yaaaayyy! So here is a sneak peek at the site in progress from about 2 weeks ago; since these pics were sent to me there has been even more design work created. We hope to have the site up by... third week in November... maybe! Then it will be time to fill it up with scratch built goodies for the holiday shoppin'. Nice! Looking good! I look forward to the site and what it will contain. Will it featue galleries of your previous works? I certainly hope so. Yes, I will have all previous works up, with prices listed for people who may be interested in ordering duplicate or similar pieces. The new background with trees looks amazing, I am very excited to launch this soon. Hope all is well, I will stop by your blog and see what you've been up to.